If you decide to heat your home, workshop, or cottage with a portable heater, you need to be aware of kerosene heater hazards. 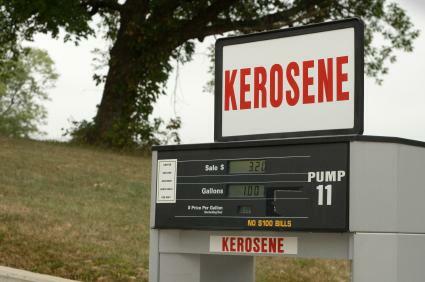 The use of kerosene heaters has been banned in some parts of the United States. Before you decide to buy one, do check with your local fire department to ensure that this product is legal in your area. The flame from a kerosene heater may be a fire hazard. If drapes or other flammable substances are placed too close to a kerosene heater, they may well catch fire. The temperature of a flame in a kerosene heater can measure between 320 degrees Fahrenheit and 500 degrees Fahrenheit. Young children should be kept well away from the unit when it is in use. Carbon monoxide is an odorless, colorless, tasteless gas that is produced when fuels don't burn completely. Carbon monoxide may be produced when wood, natural gas, coal, oil, or kerosene is burned. When carbon monoxide is inhaled, it attaches to hemoglobin in the bloodstream, effectively blocking the body's cells from receiving the oxygen they need to stay alive. A mild case of carbon monoxide poisoning looks a lot like the flu. The person may have a headache, along with nausea and vomiting. They may feel tired. A more serious case of carbon monoxide poisoning will cause a severe headache, dizziness, mental confusion, and an elevated heart rate. Death may result if the exposure to carbon monoxide continues for an extended period of time. In its most extreme form, carbon monoxide poisoning will cause the affected individual to lose consciousness. They may suffer brain damage if not moved into fresh air quickly. Convulsions may occur; heart and lung failure (resulting in death) is also a possibility. To protect yourself and your family when using a kerosene heater, be sure to install a CO detector in your home, cottage, or other building where the heater is located. Test the unit on a regular basis to ensure that it is working properly. If the CO detector starts to sound an alarm, leave the building immediately and contact the local fire department for assistance. Don't place the kerosene heater in a doorway; it can be knocked over when someone is walking in or out of the room. Place the unit on a level surface where it is not likely to be knocked over. Provide proper ventilation by opening a window in the room slightly. Don't let the kerosene heater run all night; turn it off when you go to bed. You should also turn it off when you leave the building. Don't hang clothing above the kerosene heater to dry. Go outside or into a garage to fill the tank on the kerosene heater. Store extra kerosene for the heater outside in a clearly-marked container. Don't try to refill the tank when it's hot; instead, wait until the tank is cool before attempting to add more kerosene. Keep an eye on the tank when you refill it. As the kerosene in the heater warms up, it expands. Filling the tank above the "Full" mark may lead to a kerosene spill - and a fire. Keep children and pets away from the kerosene heater; don't leave either of them alone in the room when the heater is running. As you can see, there are a number of kerosene heater hazards you need to aware of if you decide to use this type of portable heating product. Be sure to follow the manufacturer's instructions carefully to keep yourself and your family safe and warm.